Let, our ASE-certified technicians determine the cause of those steering issues with a steering fluid flush service and/or repairs and those steering problems will be a thing of the past anything Automotive will get you back to effortless driving. Does your car dip or rock when you go over bumps or drift around corners even at low speeds? When it comes to absorbing the shocks of the road, you’d think the shock absorbers would take care of everything. But you’d only be half right. Actually, coil or leaf springs handle the abuse of the road. Your shock absorbers handle the abuse caused by the rebound of the springs. They both work together to keep your vehicle under control. 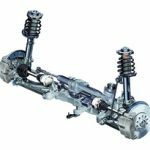 And those two components, plus a variety of control arms, shafts, rods, bushings, joints, and knuckles make up what’s commonly called a conventional car suspension. Many larger SUVs and pickup trucks still use this time-tested design. Whether your car or truck has shock absorbers or a strut-based system typical in many front-wheel-drive cars, Anything Automotive will get you back on the road with a smooth ride. Rough road surfaces and Potholes don’t just make for a bad ride, they can affect the alignment of your wheels. Misaligned wheels can cause a ton of problems, including uneven tire wear. Proper wheel alignment helps your tires last longer, improves gas mileage, and provides safer handling. 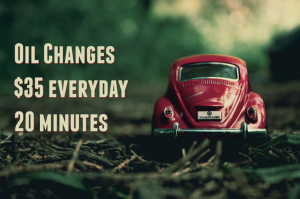 helping you get the most out of your car, for as long as you own it, with Anything Automotive, regular preventive maintenance is easy and convenient.